The term “first facelift” is showing up more and more frequently on Google searches these days. Although what the term means is intuitive, it is not a medical term that plastic surgeons frequently use. Medically speaking, the proper term is “primary facelift” but you can’t argue with a Google search. Not particularly in tune with the “mind” of the internet, my assumption is that a first facelift is considered intrinsically different than secondary (second) or tertiary (third) facelifts. While there is some truth to the fact that first facelifts are performed differently than the others, there is no truth to the thought that a plastic surgeon can be an expert at firsts and not seconds or thirds. Although I am unaware of any statistics to the effect that at least half of the patients who have a first facelift before the age of 55, will also have at least a second as well as any number of touch-up procedures. The importance of first facelifts is that any plastic surgical procedure including facelifts, eyelid surgery, rhinoplasty as well as cleft lip and palate achieve the best results the first time they are done. Thus, the term first facelift. A good first facelift can lead to an even better second and even third. I truly was not aware that “first facelifts” were something people look for, or Google for, but I learn something about Google every day. With that said, I’m probably the best first face lifter around these parts. Read more about top facelift surgeon Dr. Paul Howard in Birmingham, Alabama. The answer to this question depends on many variables, but actually is easy for each individual surgeon to answer. In fact, all surgical advances begin with a patient asking a doctor his opinion on a problem that is bothersome to the patient. In the early 1900’s, the question may have been, “Doc, can you get rid of this unsightly hump on my nose?” Maybe it was a teenager who wondered if her protruding “Dumbo ears” could be set back. In the 60’s it might have been, “Doc, what can you do for these fat deposits on my thighs?” Each of these questions was first met with skepticism by the surgeon followed by a moment of reflection and ending with the promise to get back to the patient after having a chance to think about it. These accumulated “moments of reflection” are the substance of hundreds of manuscripts and then textbooks describing all of the innovations that have become the essence of plastic surgery as we know it today. Recently, the question that continues to arise refers to looking more youthful, but is tainted by the attempt of many surgeons and non-surgeons to answer this question with a multitude of poorly conceived procedures, potions, lotions, and quick fixes that frequently fail to provide the answer to the question. Photos that are presented fail to show youthfulness and frequently are not honest and believable. The part of this anti-aging scenario that surgeons have come closer to accomplishing is the anti-gravity part where the desire for a procedure that lifts drooping facial tissue, especially the cheeks, forehead and neck, is accomplished with minimal incisions, safe anesthetic techniques and a rapid recovery time to the resumption of normal activities. These accomplishments in facelift surgery are actually recent because advancements only happen when our patients ask for them. There came a time when massive swelling and bruising, general anesthetic and a month recovery was not good enough and patients asked for more (or less). It became clear that simply tightening skin to elevate facial fat and remove wrinkles was a simplistic approach to facial rejuvenation. Although lifting and tightening worked to a certain degree, it did little or nothing to address that facial deflation by the loss of fat is an integral component of the aging process. The use of fat transplantation, as is has now been perfected, has provided a therapeutic answer to deflation while fulfilling basic plastic surgical principles as described by Ralph Millard, MD. In a nutshell, fat transfer is the result of identifying a problem, replacing what is lost with tissue in-kind, all the while improving the donor site via liposuction – Dr. Millard would love it! This is the magical point in the scenario where luck comes into play as it applies to the “law of unintended consequences.” The smartest of our brethren saw it almost immediately, but the rest of us took a while to see that which was right in front of us. Our fat grafts carried with them a myriad of growth factors, cytokines, and unknown chemicals that helped the grafts “take,” but also exerted their influence on the overlying skin; the last aspect of the aging face addressed surgically. By the simplest of methods – observation – it was noticed that the skin was visibly improved by the fat grafts; it had more collagen, more elasticity, improved texture, and an improvement in the fine lines and wrinkles. As our knowledge evolved it became clear that these secondary consequences were the result of the stem cells that we now know to exist within the fat grafts. The next small step was to isolate the adipose-derived stem cells from the fat and reintroduce the stem cells to improve the “take” of the fat and add improvement to the skin. The addition of other known growth factors found in platelets as PRP boosted the rejuvenation ability of fat grafts even more. I think it has also become quite clear that depositing these rejuvenating aspects with an appropriate scaffold (fat) beneath the skin improves the results drastically from the awkward attempts to simply rub these against on the skin’s surface. It follows that the best we can do from the surface is to accelerate the turnover of the skin cells and remove as many of the dead cells as possible; hoping to unveil the dermal and sub-dermal improvements obtained from our stem cell assisted lipo-transfer protocol. What I have described is the way plastic surgical advances happen. Doctors and patients have been dancing this question and answer Waltz for over a hundred years so it should be of no surprise that many of the questions were asked a hundred years ago, but the answers have only recently shown themselves to those who continue to look for them. 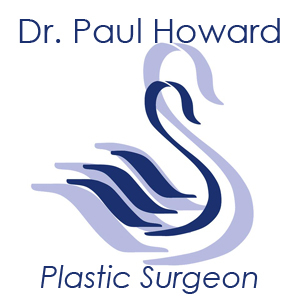 Read more about Dr. Paul Howard and his minimal incision face lift.